You are just 60 seconds away from young skin ! Wrinkles on the forehead, corners of the eyes and in lips area appear when facial muscles contract. Thanks to relaxing them, furrows are evened unusually quick, skin turns smooth and wrinkles are almost invisible.Unlike botox, snake venom cream gently adapts to facial movements without ‘mask effect’ and unnatural skin tension. Poorly moisturized skin looses elasticity and doesn’t look good. Snake venom formula fastens water covalent bonding, what is the reason why level of skin’s moisture increases rapidly and maintains for a long time. Super-fast "youth extract" is a junction of polypeptide Syn-ake with capsuled UV filtres and sea algaes. Each of these elements was selected in order to stay in harmony with natural skin components. Owing to that they are able to penetrate the deepest skin layers, giving instant effect of younger, smoother skin. To feel better you need to use the preparation only once.The use of really strong and highly condensed firming substances makes wrinkles to be invisible in only 60 seconds. What’s more, the effect stays on up to 12 hours and regular application effectively stops progressing ageing and brings back young, glam look. The most important component is polypeptide Syn-ake, which works in similar way to the toxin that appears in temple snake’s venom. This substance instantly relaxes contracted face muscles, responsible for wrinkles formation.With no doubts this is fully safe and easier to use botox alternative. Instantly evens the skin, makes it smooth and soft, deeply moiturizes and protects against harmful external effects. You don’t need assistance of beauty therapist or dermatologist. Apply cream all over the face and massage it gently with circular moves. Natural lifting effect is visible instantly. Cream Snake B-Effect Advanced Anti-Aging Solution passed really rigoristic diagnostic procedures and is certified. It doesn’t cause any allergic reactions or skin discolouration, and contained polipeptideSyn-ake, that imitates toxin from snake venom, is fully safe and not dangerous for your health. Formula Sophie Mercier became very popular among celebrities, actresses and regular women really quickly. It gained fantastic opinions among doctors. It’s also used in SPA salons. You don’t have to wait days, months or years to see effects of rejuvenating treatment. You will see them right after application. 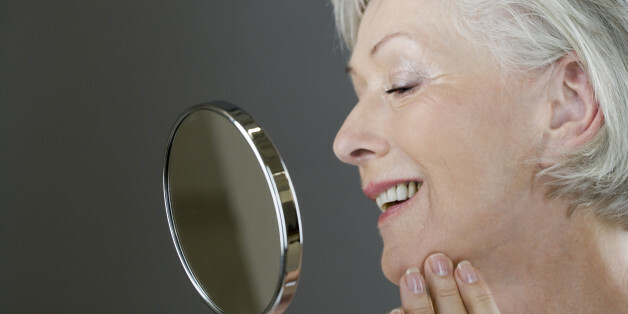 Your wrinkles will smooth out unbelievably fast and become practically invisible. This might be the most effective and definitely the fastest method from among accessible methods of wrinkles evening and comprehensive face rejuvenation. It was not only tested by scientists and documented by NCBI (American National Centre of Biotechnology Information), but also by my patients and a lot of people such as Mrs Edyta from Wroclaw. Bare in mind, that cream Snake B-Effect Advanced Anti-Aging Solution, as every other, often lot more expensie, method won’t work for everyone. Small percentage of people has really non-standard skin type and this method is not for them. The highest quality cream Snake B-Effect Advanced Anti-Aging Solution originates from many years of searching for the best solutions within skin rejuvenating.It’s rejuvenating formula was based on the highest quality components. It’s also exceptionally effective. That is the reason why it can’t be cheap.